California has become (in January 2018) the 6th state in America to legalize the sale of marijuana for recreational use, following a 2016 referendum of Californian residents. This has clearly been a popular change in the law for some: In Berkeley, queues of people snaked around the block from 6 a.m. (odd time to be buying weed?) 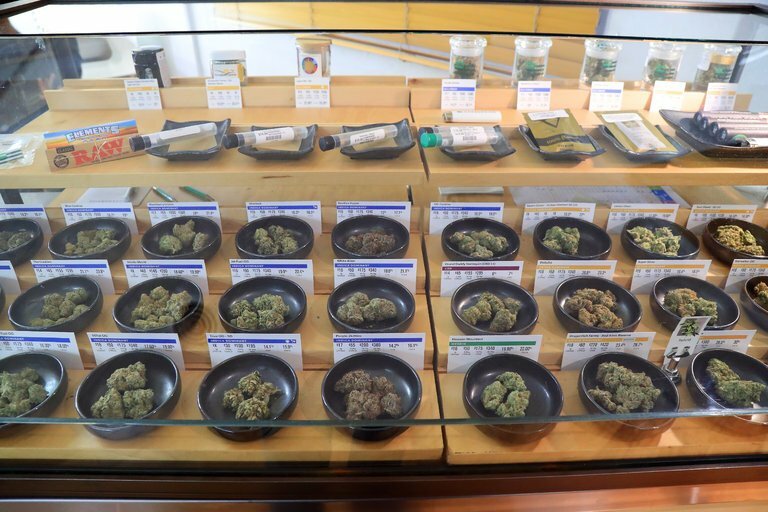 to late into the evening as one the first dispensaries to open struggled to cope with demand, suggesting that there are eventually going to be many licensed venues selling legal weed. However, there are those that are opposed to the legalization of marijuana movement, the most powerful being the entire Trump administration, who are looking for ways to derail those 6 states which have legalized the drug. This whole issue is a great example of how ‘crime is socially constructed‘ – you can quite literally hope over from California into the state of Arizona while smoking a joint and tada: you’re a criminal! From a Functionalist point of view, it might be worth thinking about whether this is happening as a sort of ‘safety valve’ mechanism – there’s so much strain in America, and so many people already using drugs to cope with it, we may as well legalize it because it’s easier for the system to cope with it, and focus more on the ‘real criminals’. Next post: On teaching to a question – but what question to ask? America seems to be going through another deprohibition era.